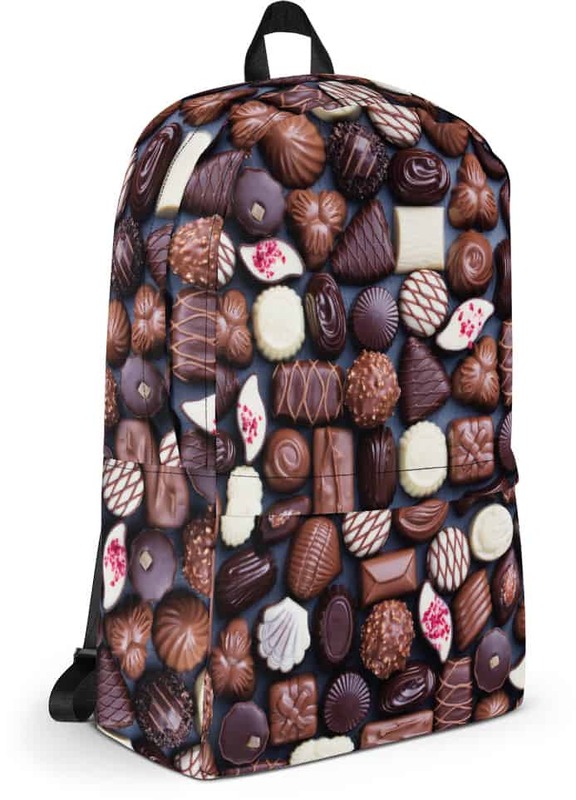 This sweet candy bar chocolate backpack is super fun. 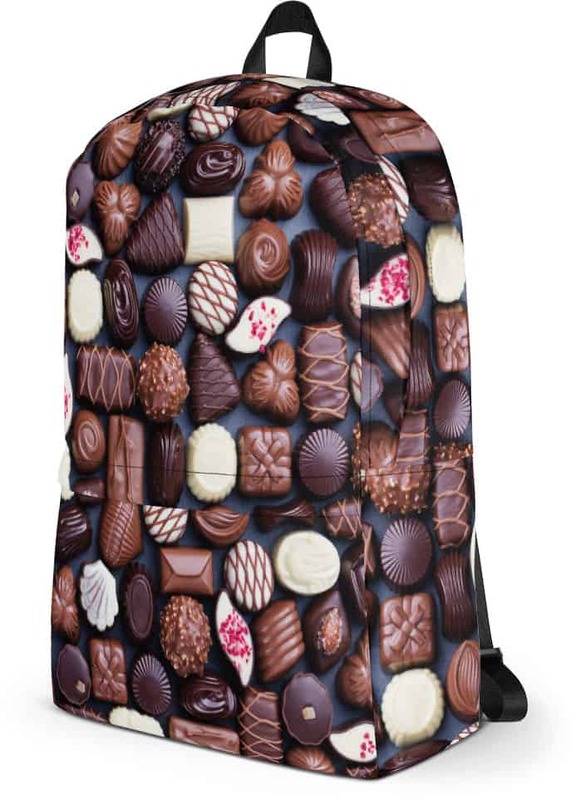 Perfect for anyone with a chocolate sweet tooth. 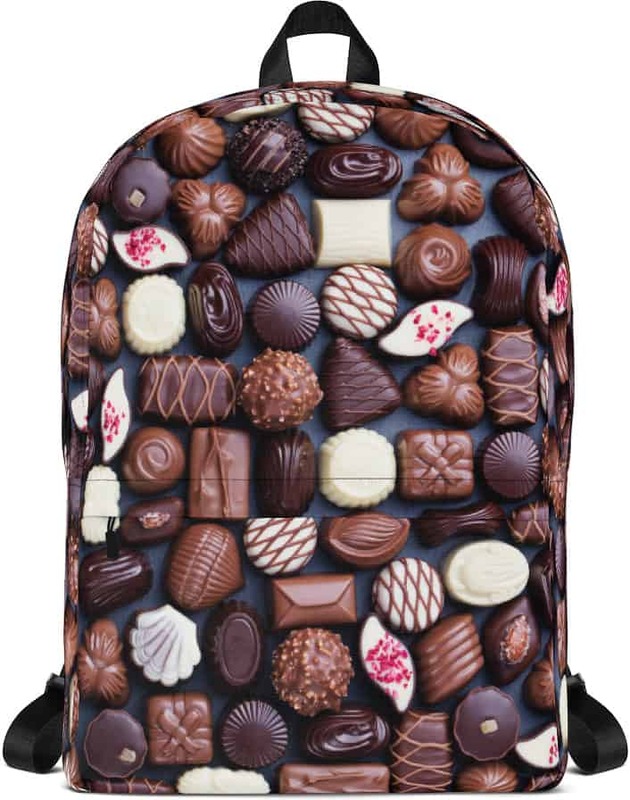 This delicious chocolate backpack has plenty of room with a big inner pocket, a separate section for a 15” laptop, a front pocket, and a hidden pocket at the back. 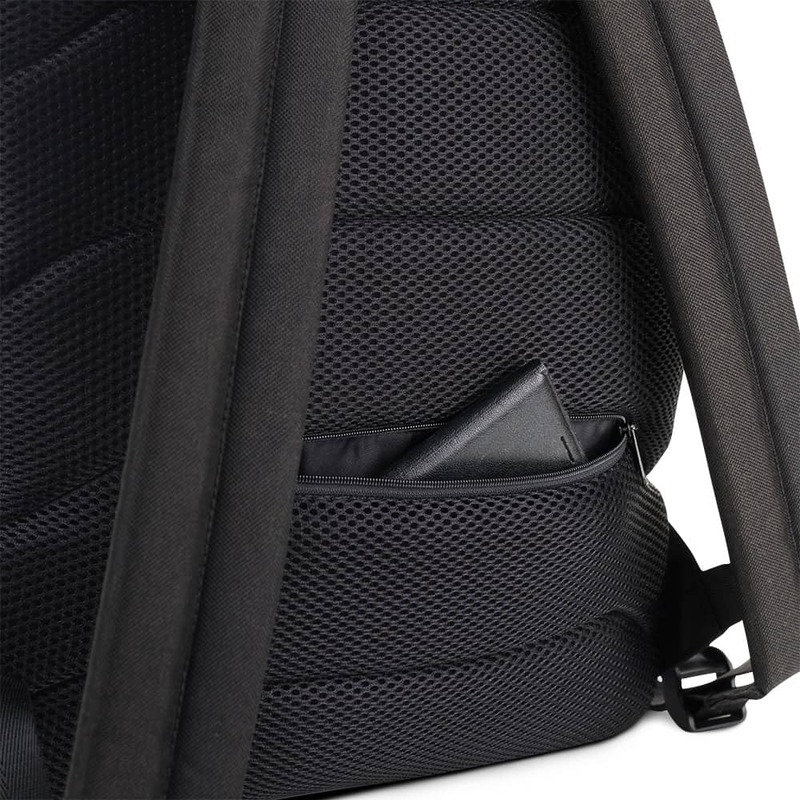 This bag is made of a water-resistant material. 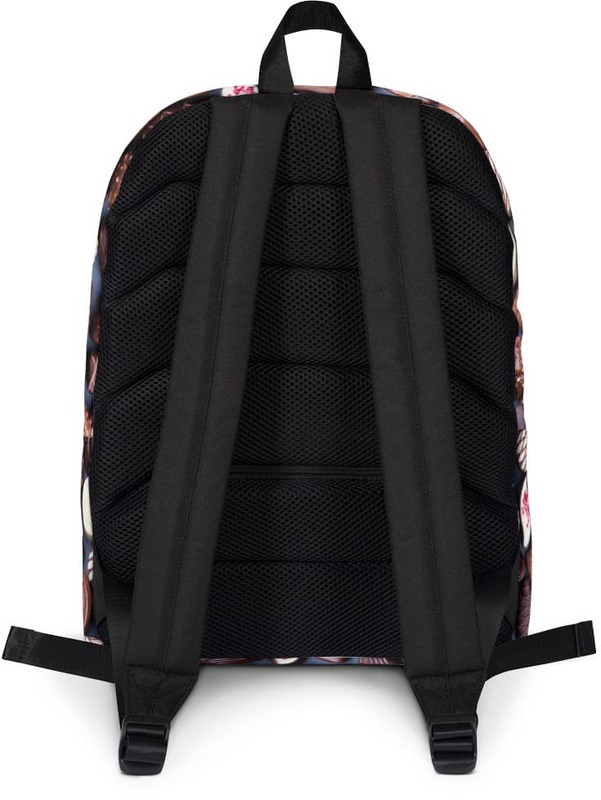 The soft, padded mesh material on the back and the black handles make it perfect for daily use or sports activities.